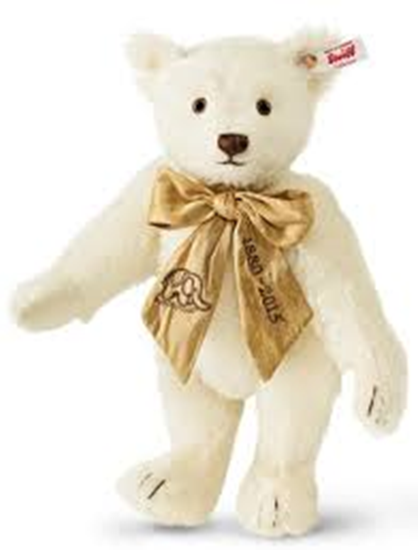 This teddy bear was designed specifically for Steiff Club members for the year 2015.. Designed especially for Steiff Club Members, this annual special edition Teddy is truly a lovely bear. He stands 12 inches tall, five-way jointed and features a deep, rich growler. He is made from the finest white mohair and wears a special golden bow that is embroidered with the original elephant motif and the date range 1880-2015. He has the white tag "Button in Ear".